With so many wonderful new toys and gadgets available for boys these days, one could easily feel overwhelmed by the blizzard of choices when it comes to boys Christmas gifts. Stop by your local shopping center this time of year, and you’ll see exactly what I mean! You will likely find tons of cluttered shelves stacked high with the latest versions of electronics, video games, action toys and other popular items. While it’s always nice to have a good selection from which to choose, an overabundance of choices can be a bit mind-boggling. As if the pressure to buy the perfect gifts for the boys in your life isn’t enough all by itself, you’ve got to battle your way through the hoards of frantic shoppers who are just as determined as you, roam from store to store to ensure that you’re getting the best deals, and then waste your valuable time as you stand in long check-out lines. Let’s face it- it is much more appealing to snuggle up in front of the fireplace with a giant mug of hot cocoa and your favorite Christmas cookies! If thoughts of shopping for the boys in your life has got you feeling frustrated this holiday season, don’t throw in the towel just yet. Christmasgifts.com has got just a great selection of wonderful boys Christmas gifts so you are certain to find just what you’re looking for without ever leaving the comfort of your cozy home. Get personal with a gift that is customized especially for the boy in your life. While younger boys might like a personalized Puzzle Name Stool, a personalized book or even a custom made puzzle, the older crowd will enjoy a hoodie, jacket or t-shirt with their name on it, or a personalized cover for their cell phone or iPad. • Give that special boy in your life a wonderful memory that he will treasure for years to come when you purchase an experience gift this Christmas. Experience gifts make excellent boys Christmas gifts, and if you get a little bit creative, you will discover that there is some type of adventure available for boys of all ages. 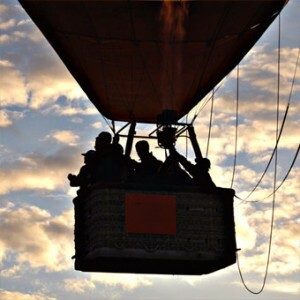 Older boys might enjoy scuba diving or riding in a race car, while a ride in a hot air balloon would make a great gift for all of the boys in your life. • Boys typically love anything remote control, and with the wide variety of remote control gifts that are available these days, you’re cure to find something he’ll love. 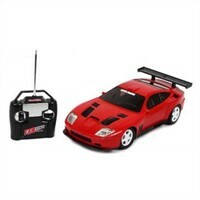 Choose from the traditional remote control cars and trucks, or purchase a remote control helicopter instead. If you’re looking for something even more unique in this category, check out the Roboshooter remote control robot. • Let the little scientist in your life discover a whole different world when you give him a telescope this Christmas. Looking for something a little more down to earth? Consider a microscope instead, and watch as he examines prepared slides, cells, and tiny microorganisms. Do you have other fun and unique ideas for boys Christmas gifts? How many gifts do you typically purchase for the boys in your life? Tell us about it in the comments section!